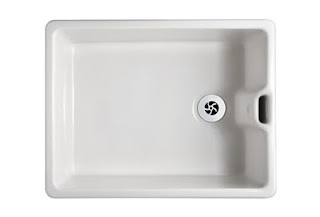 The Oxford Dictionary defines a Belfast sink as: a type of deep rectangular kitchen sink, traditionally made of glazed white porcelain. The practical and timeless design of the Belfast sink has been a popular choice for the family kitchen for generations. 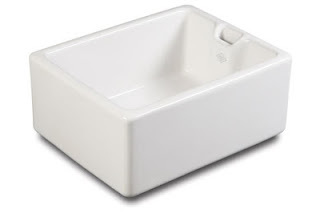 Having a large deep bowl made of a highly glazed fireclay ceramic the Belfast sink is easy to clean and is resistant to both staining and damage. This practical sink is a popular choice for the classically styled family kitchen. Where space permits the traditional Belfast single bowl sink can be augmented by a free standing fluted fireclay glazed ceramic drainer. With its deep wide bowl and pristine white or biscuit glazed finish the Belfast sink is not only an elegant choice for the kitchen but also a practical one; as inevitably those items that are too large for the dishwasher will still end up being washed in the kitchen sink. Shaws of Darwen are, quite rightly recognised by many as, the leading manufacturer of quality ceramic kitchen sinks and accessories. 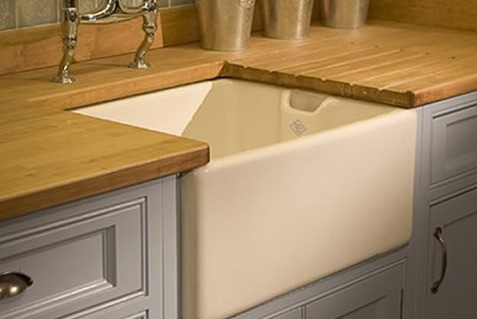 Using the same traditional labour intensive, hand crafted techniques and quality materials that Shaws artisans have employed for over 115 years, Shaws of Darwen produce the finest quality Belfast sink available today. Due to their quality and timeless styling Shaws has been the sink of choice since 1897 for many of the finest family homes and kitchens throughout the world. 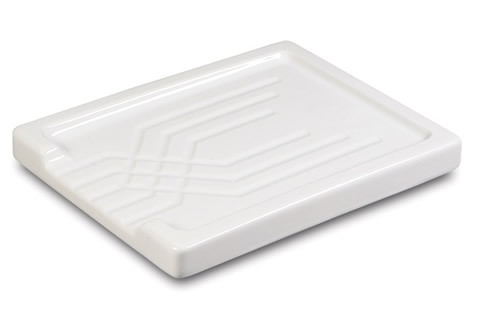 You can view the full range of kitchen sinks and accessories from Shaws of Darwen at our secure online website and store or click HERE to download our full brochure.